Rediscover your inner peace and enhance your outer beauty through a combination of artistic talent, professional expertise and the newest technologies available today. Our goal is to provide the highest quality of personalized aesthetic care to ensure we help you look and feel your best. Here at You Glo you will feel at ease with our friendly staff and enjoy the relaxing atmosphere of our exquisite spa. We listen closely to your needs and concerns and explain treatment options that best fit you. Believing that “the creation of beauty is an art form” we provide a complete variety of options such as filler, Botox, permanent makeup, microblading, paramedical tattooing, Cool sculpting, laser hair removal, Hydrafacial, and skin tightening. We take pride in restoring youthful appearances and wellness goals, focusing on subtle, yet transformative results. We are here to meet all of your aesthetic needs. Highly trained professionals, and masters of their craft. Dr. Bertram Prosser is our Medical Director and is tasked with ensuring safety and compliance with the highest industry standards. Dr. Prosser completed his medical school at the Albert Einstein College of Medicine in the Bronx, New York in 2010. Following that he completed a residency at the University of Arizona. He also holds a Bachelors degree in Physics from the US Naval Academy and a Masters in Public Health from Harvard University. 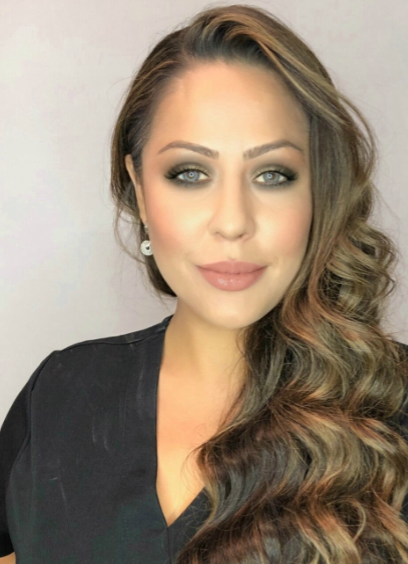 Gloria Juarez has worked in the cosmetic industry for over fifteen years, she holds certifications in permanent makeup, microblading, paramedical tattooing and as a cosmetic injector. She has an impeccable eye for detail, specializing in natural-looking results and takes pride in being a perfectionist at her craft. Believing in a client-centered philosophy, Gloria has a gift assisting clients in attaining their full potential. She works with each client’s desired needs by being mindful and transparent, strongly believing that our bodies are temples to be respected and enhanced. When you pair her experience with cosmetic filler and permanent makeup the results are natural and rejuvenating. Gloria is also an educator in the industry teaching classes and training technicians in the field. Remaining at the forefront of this ever-changing industry, Gloria continues to update her knowledge in the newest injection techniques, permanent makeup advances and products. With a sincere passion, Gloria looks forward to your journey with her. Madeline obtained her Bachelor’s Degree in Food Science and Nutrition with a Dietetics Specialization from Central Washington University and holds her CPT through The National Academy of Sports Medicine. Her passion for nutrition and helping others live their best lives is clear to clients, who she helps get on the right track for a balanced and sustainable lifestyle plan that is tailored to each individual. Her mentality is that by creating healthy habits, being kind to our bodies and strengthening our minds we can achieve a higher level of health and wellness. Madeline will always greet you with a smile and is excited to help as many people as possible with their nutritional needs. Camrin Juarez holds certifications in phlebotomy, microblading and dermal filler. Camrin has been trained by Gloria herself, completing courses with outstanding results. 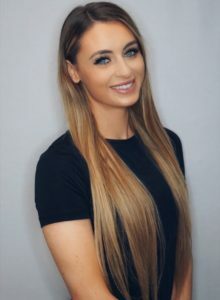 Knowing the industry and applying the techniques used to rejuvenate and enhance an individual’s natural beauty, Camrin excels in her work. She’s a great listener, thorough and takes her time with clients. With her artistic eye and great attention to detail, she ensures natural-looking results. Camrin is currently pursuing her degree in Nursing and looks forward to growing with the cosmetic industry. Ruby Villareal has worked in the cosmetic field for over seven years and specializes in medical aesthetics. She is certified in phlebotomy, laser, CoolSculpting, Hydra-Facial, and Radio Frequency Skin Tightening. Ruby’s laser technician specialties include IPL, rosacea, pigment and melasma removal, hair removal, scar removal, stretch mark removal, sclerotherapy and tattoo removal. She is very friendly and provides easy to understand consultation. Ruby continues on-going education and training as new procedures and products are introduced into the industry. Farrah has been in the medical cosmetic industry for over 8 years. She is a laser hair removal technician and certified cosmetic injector. Her goal is to help other women feel confident and beautiful, this combined with her persistent drive and compassionate personality has made her a perfect fit to join the team at You Glo Med Spa. Get in touch with the best Houston Med Spa specialists at You Glo today! Call us now or check out some of our results!